You are viewing a news and article archive for the Community Fibre tag (category), where older items are stored for readers to access and view. The UK Government’s Minister for Digital, Margot James MP, has praised ISP Community Fibre for having successfully made their 1000Mbps capable Fibre-to-the-Home (FTTH) broadband network available to 50% of social housing in the London borough of Wandsworth (the first of the city’s boroughs to do so). 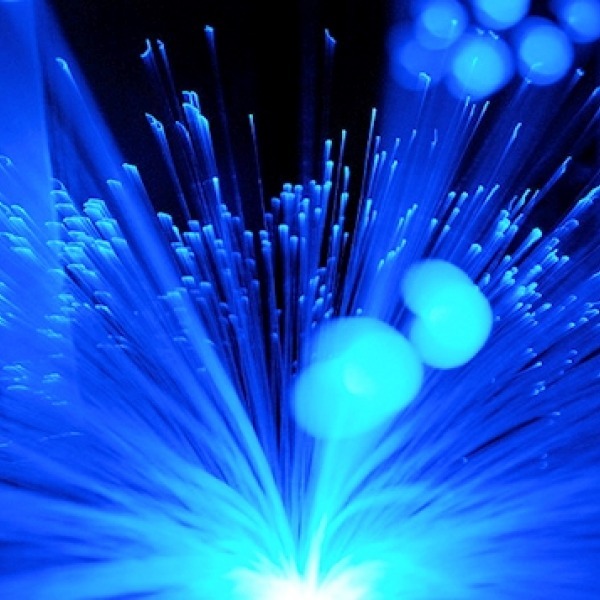 London focused UK fibre optic ISP Community Fibre (CF) has announced that they’ve started to roll-out ADTRAN’s new symmetrical 10Gbps broadband capable XGS-PON technology to homes and businesses. The first to benefit will be those at the Steel Yard, a music venue in the city centre. Jeremy Chelot, CEO of London-based Fibre-to-the-Home (FTTH) ISP Community Fibre, has told ISPreview.co.uk as part of our new interview that he wants to see a “full fibre” USO and is working toward an aspiration of covering more than 1 million UK premises with 10Gbps capable broadband by 2025. 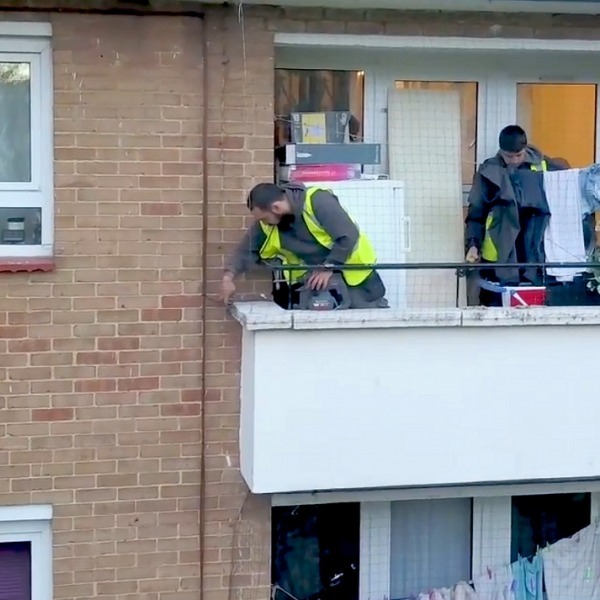 The City of London Corporation have announced that their new deal with UK ISPs Community Fibre, Hyperoptic and Vision Fibre Media has just resulted in two social housing estates (‘Avondale Square’ and ‘Southwark’) being upgraded to deliver a 1Gbps capable FTTH broadband network. Many more will follow. London centric fibre optic ISP Community Fibre has dropped the prices of their Fibre-to-the-Home (FTTH/P) packages for new customers by 25% and now claim to be offering the “lowest priced symmetric broadband package in the UK,” although this is perhaps only valid for their slower tiers. 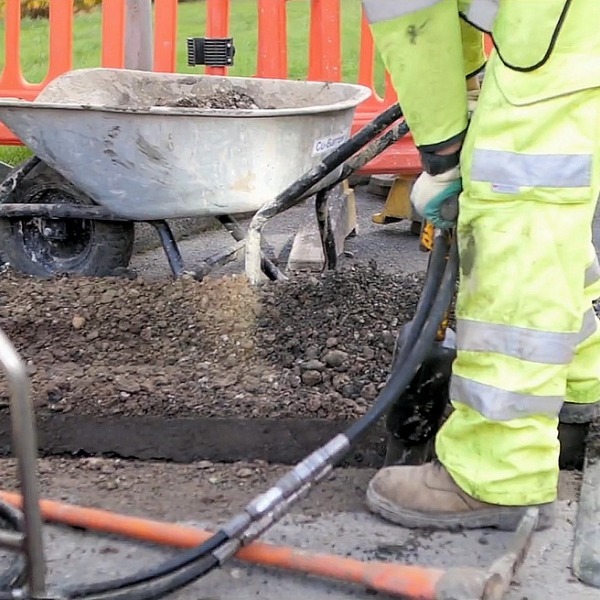 The UK government supported National Digital Infrastructure Fund has made its first big investment by putting £18m into Community Fibre, which aspires to bring 1Gbps “full fibre” broadband to more than 500,000 premises across London by 2022. Existing investor Railpen has also put in £7m. Alternative network provider Community Fibre, which is currently deploying their Fibre-to-the-Home (FTTH/P) network across large swathes of London, has doubled the speed of their ‘Basic’ and ‘Ultrafast’ broadband packages at no extra cost for both new and existing subscribers. Alternative network provider Community Fibre has sign a partnership with Virtua UK, which specialises in delivering broadcast, mobile telecoms, inbuild, consultancy and network solutions. 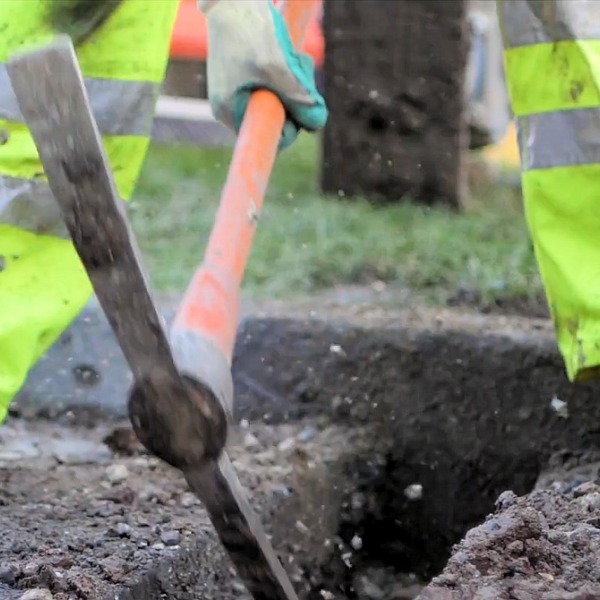 The group will help the ISP to roll-out their new “full fibre” (FTTP/H) broadband network in London. Alternative UK ISP Community Fibre appears to be extending their “full fibre” (FTTP/H) broadband network in the London Borough of Wandsworth to include local a business district, as well as council homes, which is being undertaken alongside the local authority, BIID, OLBC etc. Full fibre broadband ISP Community Fibre has today followed yesterday’s announcement (here) by signing a new agreement with the City of London Corporation, which will see their 1Gbps UK FTTH broadband network being extended to cover 2,800 residential properties in the area. 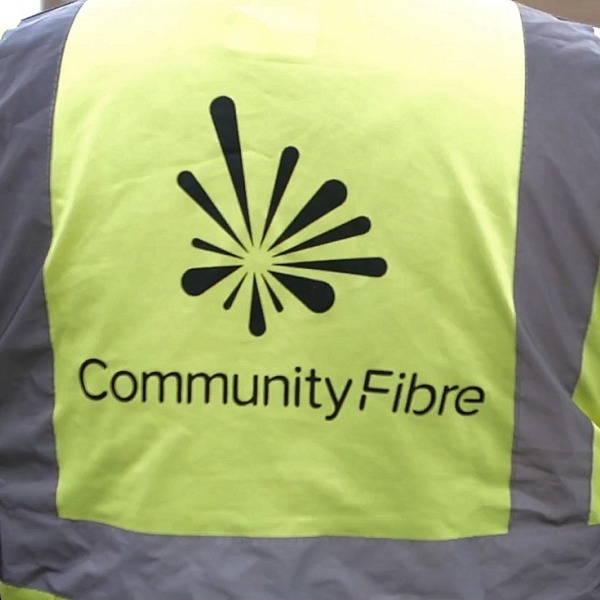 A second fibre optic ISP, Community Fibre, has this afternoon announced a separate agreement with the London UK borough of Southwark, which will see them deploying their 1Gbps FTTH broadband network to 54,000 properties owned by the local authority. 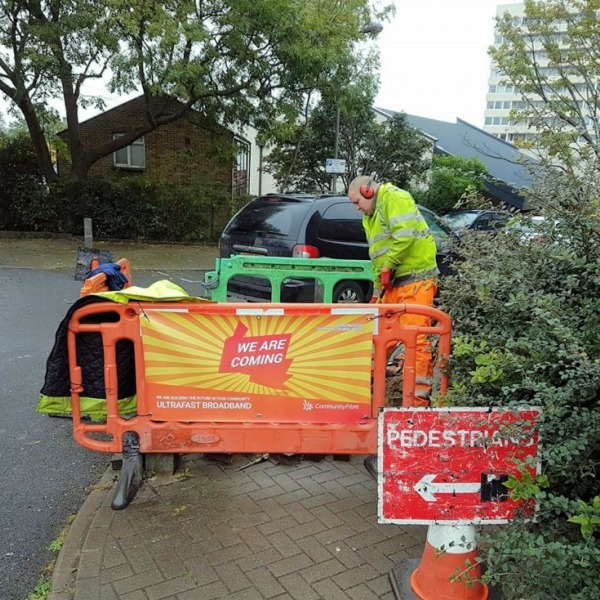 UK ISP Community Fibre has managed to hit their deployment target in the London Borough of Wandsworth by making a 1000Mbps capable ultrafast fibre optic (FTTP/H) broadband network available to 10,000 council homes in time for the end of 2017. Just another 10,000 left to go. UK ISP Community Fibre has today announced the signing of a new “master wayleave” agreement, which could see their 1Gbps capable Fibre-to-the-Home (FTTH) broadband network being extended to cover over 17,000+ properties owned by the London Borough of Hammersmith & Fulham. 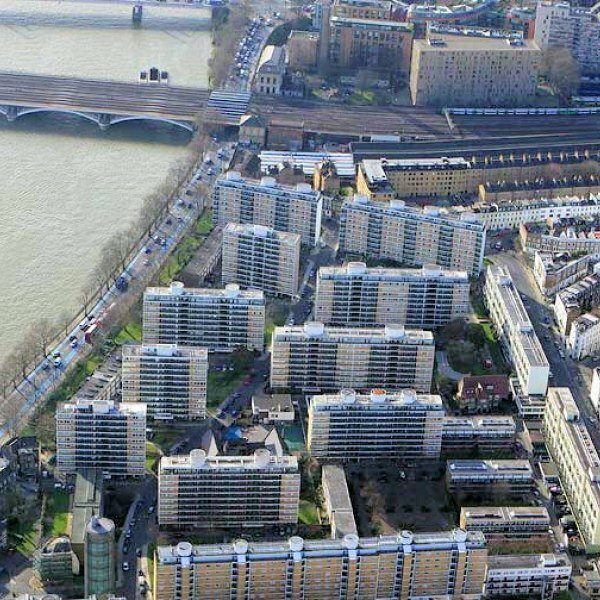 Urban focused ISP Community Fibre has claimed that their deployment of 1Gbps capable fibre optic broadband (FTTH/B) to all 1,700 properties on the Churchill Gardens Estate in Pimlico (Westminster) makes it the “largest full fibre-optic estate anywhere” in central London. 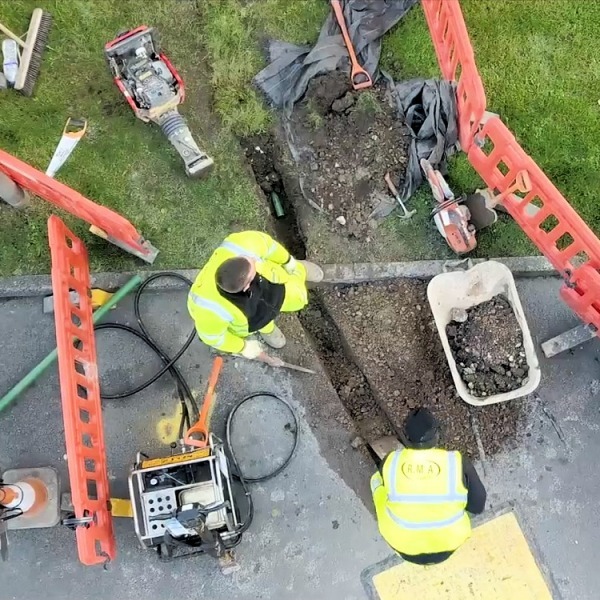 Two years ago the London Borough of Wandsworth announced that it had teamed-up with local ISP Community Fibre to roll-out a new 1000Mbps capable ultrafast fibre optic (FTTP/H) broadband network to 20,000 council homes. The provider has so far done 5,500 and the next areas are now being announced. Last year Community Fibre revealed an aspiration to extend their 1Gbps+ fibre optic broadband (FTTH/B) network to cover 500,000 homes in London (here) and today they’ve moved a step toward that by securing £11.3m of private equity investment from RPMI Railpen and existing shareholders.